Henk Quarles van Ufford was appointed Head of Finance & Reporting in October 2015. Prior to joining Heerema Fabrication Group Henk was Manager Shared Service Center at Imtech Netherlands. Henk has broad financial and operational experience in international technical organizations and a solid background in accounting and financial reporting. 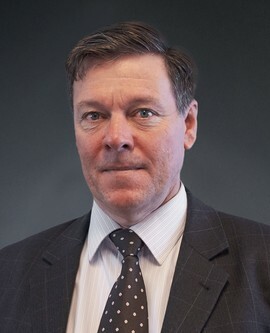 He held several financial senior management positions in the Chemical industry at Kemira Oyj en Cytec Industries Inc.
Henk graduated with a Bachelor Degree in Business Economics at the InterManagement College in The Hague and has a postdoctoral in accountancy with the Erasmus University.